Baxter, Stephen. 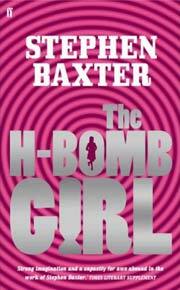 The H-Bomb Girl . Faber & Faber 2007. What if: The Cuban Missile Crisis went hot. Summary: A teen-age girl in Liverpool witnesses the world blow up, or did she save it? Published: Faber & Faber 2007 (0571232795BUY), 2008 (0571232809BUY), Night Shade 2008 (1597801372BUY).